The efficacy of balneotherapy in fibromyalgia syndrome (FS) has been well demonstrated, while controlled studies using mud packs are lacking. We performed a randomized clinical trial to evaluate the effects and the tolerability of mud-bath treatment in FS patients, who are poor responders to pharmacological therapy. 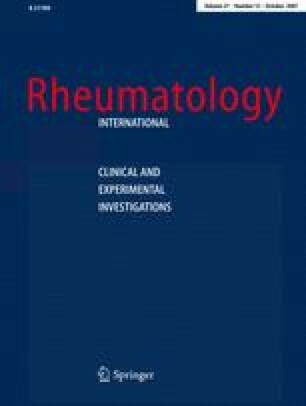 Eighty patients with primary FS, according to ACR criteria, were randomly allocated to two groups: 40 were submitted to a cycle of 12 mud packs and thermal baths, and 40 were considered as controls. At baseline, after thermal treatment and after 16 weeks, patients were evaluated by FIQ, tender points count, VAS for “minor” symptoms, AIMS1 and HAQ. Control patients were assessed at the same time periods. A significant improvement of all evaluation parameters after mud-bath therapy and after 16 weeks was observed. Mud packs were well tolerated and no drop-outs were recorded. Our results suggest the efficacy and the tolerability of mud-bath treatment in primary FS.